For this months screening we are extremely lucky to have access to two prints of films by Gregory J. Markopoulos -the longer duration of Twice a Man, in which the filmmaker pushes his vision of an entirely new narrative cinematic form, followed by Bliss, a six minute film portraying with typical Markopoulos restrictiveness, an interior of an 18th century Byzantine Church on Hydra in Greece. An American born of Greek decent, Markopoulos' story is often told through his early involvement in the New American Cinema movement and subsequent departure and withdrawal to Europe in the early 70's along with his partner, the filmmaker Robert Beavers. Following years of working under difficult conditions and almost constant travel, Markopoulos and Beavers both continued to make and exhibit their films on the go, finding temporary bases between Greece and Switzerland for the most part. During the 80's Markopoulos' conception of his cinema moved gradually towards the idea of The Temenos - a singular dedicated site in the mountains of Arcadia, near the village of his fathers family, where his and Beavers' films would be shown on certain occasions, to a select few. Markopoulos' continued to work towards the monumental vision of his film Eniaios, an 80-hour epic consisting of re-edited, highly deconstructed versions of his entire filmic output, to be shown at the Temenos site as collected "cycles" of material. To look at these two earlier works is a rare chance to look back at how the films were originally completed in the 1960's - offering a glimpse of the methodology and forms which were to become dominant (at the same time more open in meaning) for Markopoulos later on. Twice a Man is an example of Markopoulos' decisive treatment of film form, through its sudden cuts between images both predicting and looking back within the traditional narrative, treating the notion of a classic Greek drama as both an opportunity for an abstract re-telling and open associative field of evocative imagery and sound. US 1963, 16mm, color, 49 min. 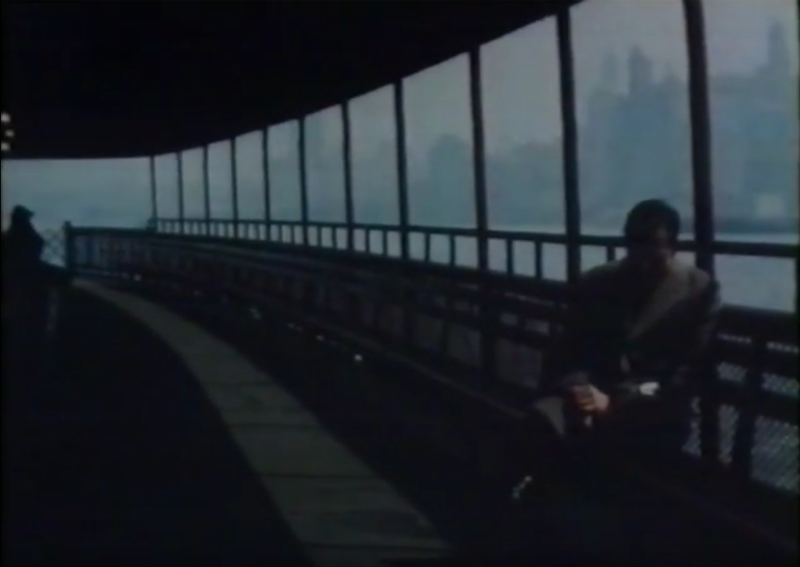 Based on Markopoulos’s modernist reworking of the myth of Hippolytus, in which a chaste youth rejects the incestuous advances of his mother, Phaedre, and is saved from death by a caring physician, Twice a Man was filmed by Markopoulos in and around New York. For Markopoulos, this short feature represented his most elaborate attempt to date to create "a new narrative form through the fusion of the classic montage technique with a more abstract system." The film opens with an extended passage of black leader and the sound of falling rain before plunging into a dazzlingly complex array of interwoven single frames and clusters of images to elaborate a tale of artistic rebirth. Greece 1967, 16mm, color, 6 min. The first film made by Markopoulos after moving to Europe, Bliss was shot over the course of two days using only available light to create a lyrical study of the interior of the Church of St. John on the island of Hydra. 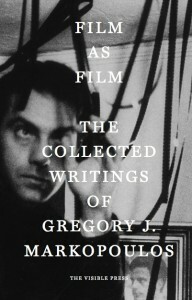 Much of the recent revival in screenings of original Markopoulos films has been due to the efforts of The Visible Press publication of Markopoulos' writings as well as extensive touring programs organised internationally to accompany the book.